In very basic terms I totally respect your personal information and will only ask you for what information I really need from you. I will look after it in the same way I would want mine looked after, keeping it secure! I will only share it with others where we need their help us deliver my service to you (such as to the professional printing laboratory who may need your name and address to post your purchases). Be assured that we will never share your information in any other circumstances – nor will I sell it on elsewhere! Any data is collected by myself Sarah Capon Photography, 11a Romney Gardens, Bexleyheath, Kent, DA7 5HA. Any software that use to hold your information is all password protected. Names, Addresses and Contact Information of the person(s) placing an order with me. Names, Addresses and Contact Information of the person(s) using my services. Names (and in some cases ages and gender) of all participants of a photo shoot. Details and notes taken throughout a photo session or service provided to help us remember conversations during and details of your session. If you E-Mail us or send us messages via social media, these messages are stored within our email system or social media accounts. These messages are stored for as long as practicable to allow us to provide you with better future services. 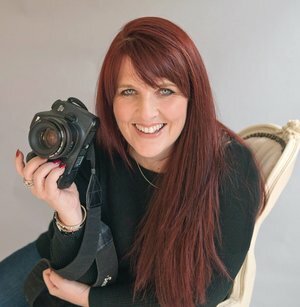 Information that I collect will be used by Sarah Capon Photography to enable me to provide my services and products to you.